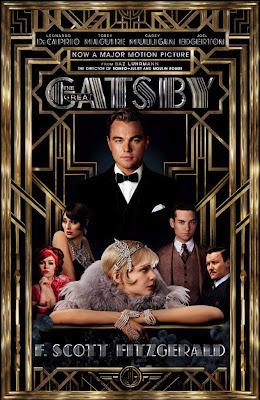 New 'The Great Gatsby' movie poster tie-in book cover edition! A new movie poster tie-in book cover edition (see above ^) has been released (via thefacebook page)for the upcoming The Great Gatsby (in 3D!) film starring Carey Mulligan as Daisy Buchanan withJoel Edgerton, Tobey Maguire, and Leonardo DiCaprio.Previously, thecharacter posters (through its official facebook page) was released along with a few trio character posters of Leonardo DiCaprio as Gatsby, Tobey Maguire as Nick Carraway, andCarey Mulligan as Daisy Buchanan. The Great Gatsby opens in U.S. and Canada theaters on May 10th, 2013 and will be releaseinternationally the following week! 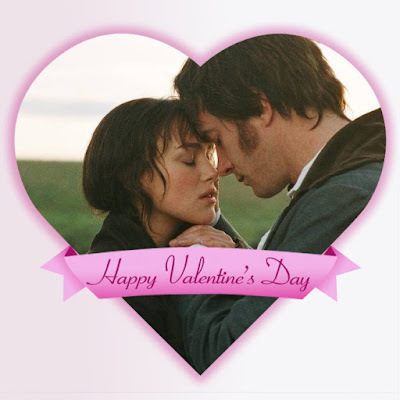 If you missed out on the official website of this Pride & Prejudice film back in 2005 when the movie was released (and up to 2006 to 2007, I think) the website was still up and running, you missed out on the film's beautiful website. Unfortunately, it no longer exist. 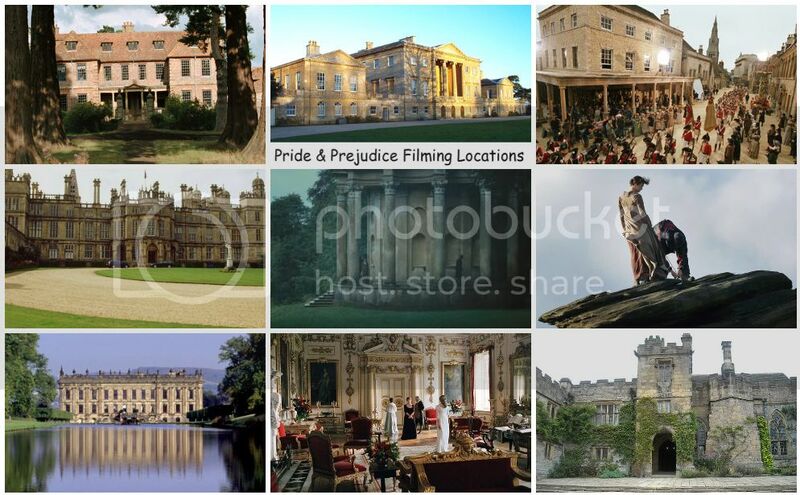 When you type the P&P movie's url: www.prideandprejudicemovie.net It now directs you to Universal Studios Entertainment site. After garnering her thirdOscar nominations (Pride & Prejudice, Atonement, and Anna Karenina) from Joe Wright's literary trilogy of films with Keira Knightley, third time's a charm for the lovely British Costume DesignerJacqueline Durran as she won her first Academy award for Best Achievement in Costume Design for Anna Karenina last night. Actors Jennifer Aniston and Channing Tatum presented Miss Durran her Oscar statue award onstage during the 85th Academy Awards held at the Dolby Theatre on February 24, 2013 in Hollywood, California. A big congratulations to Jacqueline Duran for her first Oscar win for Anna Karenina! Very well-deserved! Her colorful costume designs for AK were stunningly gorgeous! See Winners of the 85th Academy Awards 2013 including Best Costume Design Award for Anna Karenina! Winners of the 85th Academy Awards 2013 including Best Costume Design Award for Anna Karenina! 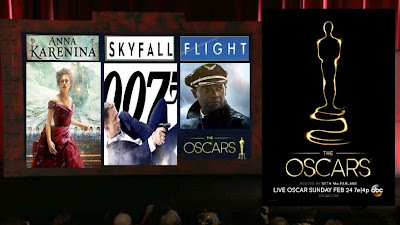 LIVE BloggingTonight is for the 85th Academy Awards (starting at 7e/4p for its annual red carpet)! Joe Wright's Anna Karenina (starring Keira Knightley and Matthew Macfadyen) film is nominated for 4 Oscars, unfortunately, neither on the acting nor the directing categories, butin the technical categories! Still, glad the Oscars recognized the amazing crew of AK and their beautiful work. Here's hoping they'll win at least one or two or win them all! UPDATE:Jacqueline Durranwon for Best Achievement in Costume Design for Anna Karenina! Congrats!!! 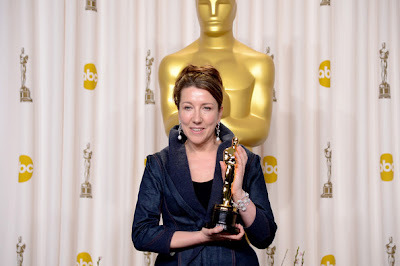 Costume designer Jacqueline Durran accepts the Best Costume Design award for "Anna Karenina" onstage during the Oscars held at the Dolby Theatre on February 24, 2013 in Hollywood, California. 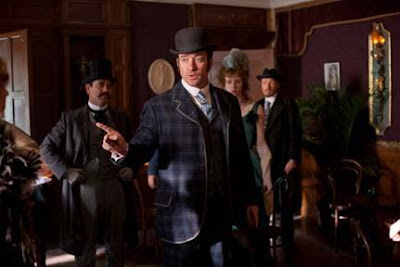 On TV Tonight: Watch Episode 6 of 'Ripper Street' starring Matthew Macfadyen on BBC America! 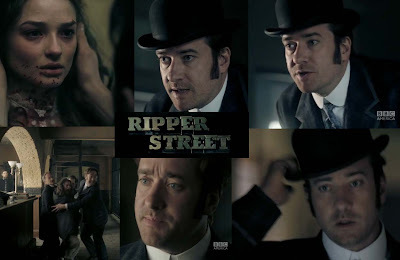 Tonight, BBC America's 8-part crime mini-seriesRipper Streetstarring Matthew Macfadyen (as Detective Inspector Edmund Reid) continues with Episode 6. Jerome Flynn, and Adam Rothenbergalso star. 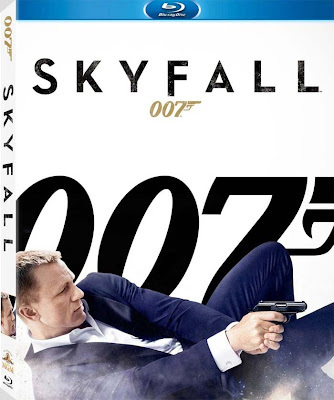 Available now on DVD and Blu-ray (since February 12th) is Skyfall,which the lovely Judi Dench co-starred and reprise her M role (from the Bond films) with Daniel Craig. Last November 2012, I saw this film. I posted my fullFilm Review: Skyfallin my other blog, In The Mood For Movies, where I post my general movie reviews (of the movies I've seen in theaters). Skyfall was one of the huge box-office hits of 2012 and the most successful (and highest grossing) Bond film in Bond films' franchise history. According to Box Office Mojo, it grossed over $303.9 million (as of February 18, 2013) in domestic gross and $804+ million in foreign with a worldwide total gross of $1.1 billion! 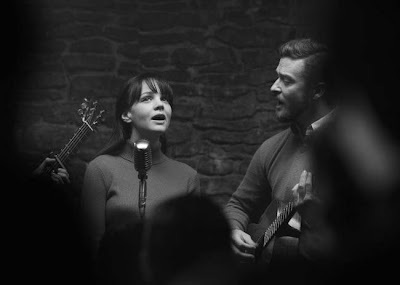 Carey Mulligan upcoming movie,Joel and Ethan Coen’sInside Llewyn Davishas secured distribution. According to Collider, The Brothers Coen produced the film without a domestic distributor, and following a screening for potential buyers last week, a bidding war broke out between studios that were vying to acquire the pic. CBS Films came out the victor, and the studio will now handle the domestic distribution of the drama that takes place in the folk music scene of New York’s Greenwich Village in the 1960s. 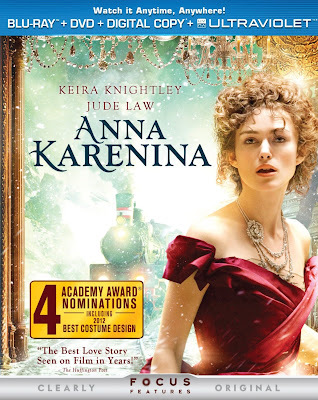 Today isthe DVD and Blu-ray/DVD Combo (as well as OnDemand and digital downloads) releasesforJoe Wright's 4-time Academy Award nominated film, Anna Karenina starring former Pride & Prejudice stars Keira Knightley and Matthew Macfadyen! If you haven't seen this film, like myself, due to its limited US theatrical release, you and I can finally see this movie today! Our wait is now over! So, be sure to get your DVD or Blu-ray copy (or rentit on RedBox, order it OnDemand, purchase your copy on iTunes and Amazon, Netflix it, or whatever you have to do to see this film) as it's available now! I know I'll be purchasing my own Blu-ray/DVD combo copy sometime today and will finally see this movie as soon as I can get my hands on it! Yes, I'm so excited and I can't hide it! Can't wait to finally see Keira & Matthew together on-screen again! And look, the adorable siblings Anna & Oblonsky are excited for me to finally see them in this film too...hahaha! 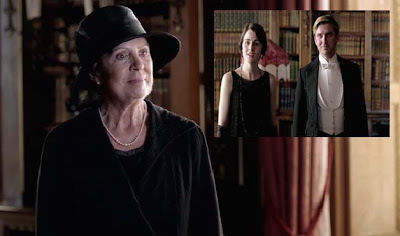 On TV Tonight: Watch Episode 7 of Downton Abbey Season 3 Finale on PBS Masterpiece! 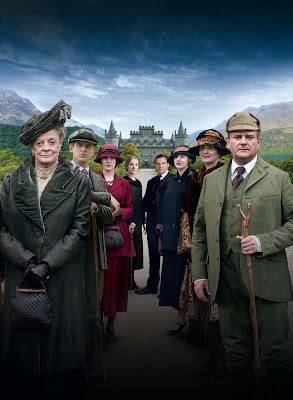 Season 3 of 5-time Emmy Award winner and 5-time Golden Globe nomineeDownton Abbey (Penelope Wiltonco-stars as Isobel Crawley) continues tonight withEpisode 7, the Season 3 finaleat 9 PM ET (Check local listings for times in your area) on PBS Masterpiece Classic. 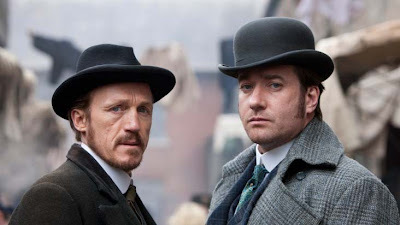 On TV Tonight: Watch Episode 5 of 'Ripper Street' starring Matthew Macfadyen on BBC America! Tonight, BBC America's 8-part crime mini-seriesRipper Streetstarring Matthew Macfadyen (as Detective Inspector Edmund Reid) continues with Episode 5. Jerome Flynn, and Adam Rothenbergalso star. 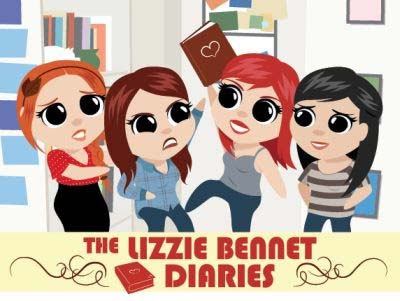 Also,if you missed the previous 4 episodes, Get Episodes on Sale at iTunes NOW! Downton Abbey star Dan Stevens to play Mr. Darcy in new BBC TV Adaptation of 'Death Comes To Pemberley'? Rumor has it that Downton Abbey's Dan Stevens (Matthew Crawley, son of Penelope Wiltoncharacter Isobel Crawley) is a favorite to play Mr. Darcy in a newBBC adaptation of P.D. 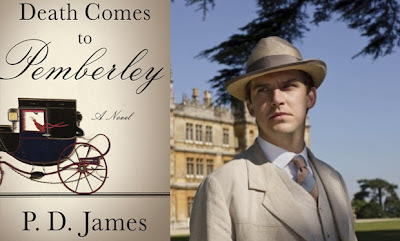 James' Death Comes to Pemberley,according to UK's Daily Mail (<---Spoiler alert: Do not click on the link, it includes a big spoiler on Matthew Crawley's fate on Downton's Season 3 finale episode! Read this spoiler-free article: Will Dan move from Downton to Pemberley? via UK's The Independent). BBC1 has commissioned a new 13-part drama series for Saturday nights produced by the creators of Merlin and an adaptation of PD James’ book, Death Comes to Pemberley. On TV Tonight: Watch the 2013 BAFTA Film Awards on BBC America! The EE British Academy Film Awards 2013(BAFTA) is tonight on BBC America at 8/7c! Joe Wright's Anna Karenina (staring Keira Knightley and Matthew Macfadyen) scored 7 BAFTA nominations (including a Rising Star Award for AK's Alicia Vikander- Vote for her!)!!! Will post a list of all the winners later tonight! While no nominations for our trio (Joe, Keira, & Matthew), their movie and AK crew (ie. Dario Marianelli, Sarah Greenwood, Katie Spencer, Seamus McGarvey, and Jacqueline Durran ) who worked on its brilliant technical side that deserved to be recognized and nominated were nominated and crossing fingers they win some or win them all! EE British Academy Film Awards takes place today, Sunday 10 February at London's Royal Opera House. 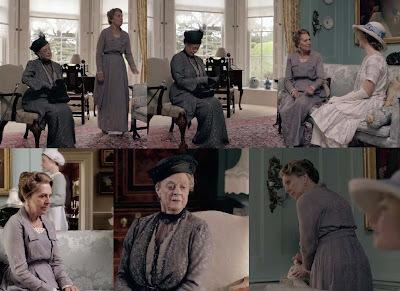 On TV Tonight: Watch Episode 6 of Downton Abbey Season 3 on PBS Masterpiece! Season 3 of 5-time Emmy Award winner and 5-time Golden Globe nomineeDownton Abbey (Penelope Wiltonco-stars as Isobel Crawley) continues tonight withEpisode 6at 9 PM ET (Check local listings for times in your area) on PBS Masterpiece Classic. 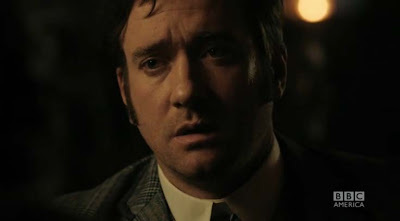 On TV Tonight: Watch Episode 4 of 'Ripper Street' starring Matthew Macfadyen on BBC America! Tonight, BBC America's 8-part crime mini-seriesRipper Streetstarring Matthew Macfadyen (as Detective Inspector Edmund Reid) continues with Episode 4. Jerome Flynn, and Adam Rothenbergalso star. Also,if you missed the previous 3 episodes, Get Episodes on Sale at iTunes NOW! 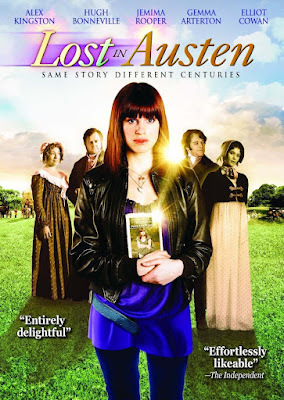 starring Ashley ClementsandDaniel Gordh Continuing the 200th anniversary celebrationof Jane Austen's classicPride and Prejudicenovel, with my thoughts, opinions, and review ofThe Lizzie Bennet Diaries (2012 YouTube/Vlog series)starring Ashley ClementsandDaniel Gordh. 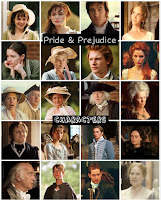 According to Variety, Random House Studios and Focus Features(Pride & Prejudice, Atonement, Anna Karenina) have acquired feature film rights to Jo Baker's new novel "Longbourn," based on the servant characters in Jane Austen's "Pride and Prejudice." 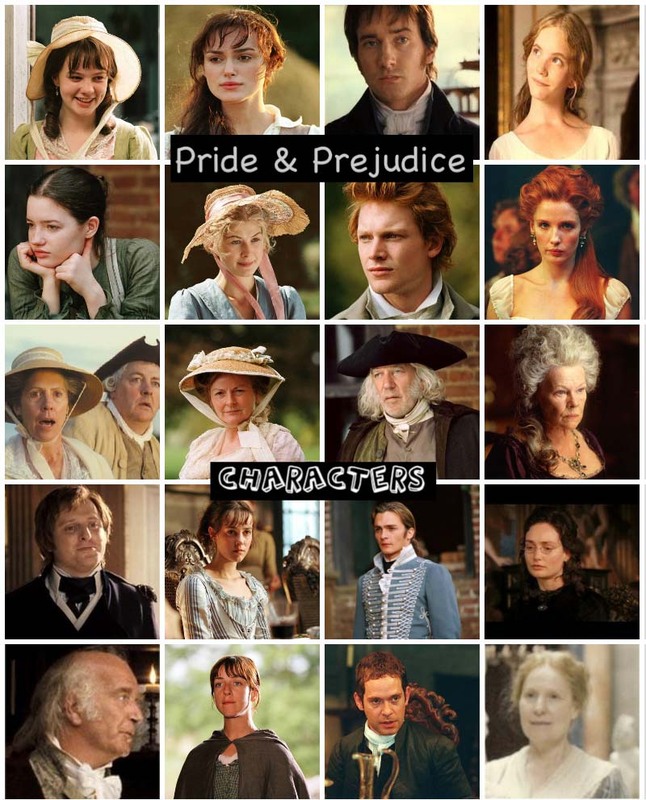 Hmm, interesting...with Focus Features picking up the film's rights...I wonder if Betsy, the Bennet family's house maid (in Pride & Prejudice 2005 film) is in this movie as the main lead with other Bennet servants like Mr. & Mrs. Hill, lol. Well, as the Variety article and Focus Features press release stated, "Longbourn" will focus on a romance between a newly arrived footman and a housemaid, the novel's main characters. 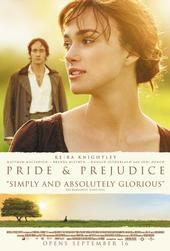 But then, again, this was based on the Longbourn novel not from the 2005 movie. 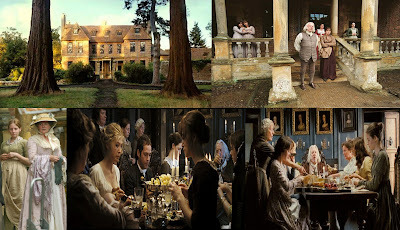 It'll be interesting on who they cast as the Bennet family and servants. 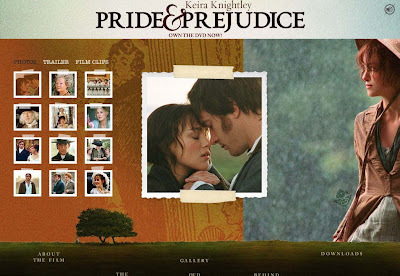 starring Maia Petee and Caleb Grusing (akaCaleb Grant) Continuing the 200th anniversary celebrationof Jane Austen's classicPride and Prejudicenovel, with my thoughts, opinions, and review ofA Modern Pride and Prejudice (2011)starring Maia Petee and Caleb Grusing (akaCaleb Grant). 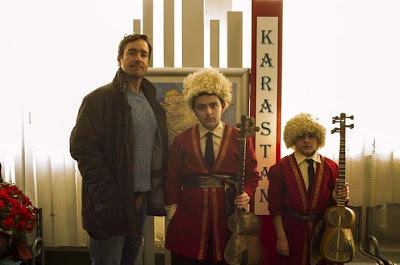 Screendaily reports that Stealth Media Group will be handling the international sales of Matthew Macfadyen's (see a publicity/promo pic of him ^ via Screendaily) upcoming film, Epic. While Matthew is currently filming the movie, Stealth is already showing the first footage to buyers at EFM (European Film Market). “We are delighted to be able to be participating in this truly commercial international comedy of real scale and size,” added 20 Steps Vova Katcharava. 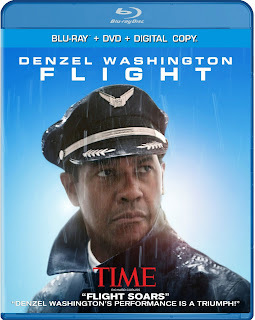 Kelly Reilly's latest box-office hit filmFlightwith Denzel Washington is now available on DVD and Blu-ray or combo!Get your DVD and Blu-ray today! -Richard Roeper, “Richard Roeper & The Movies” Own FLIGHTtoday on Blu-ray, DVD, Digital Download and On Demand! Keira Knightley graces the cover of Marie Claire Magazine's March 2013 issue. On TV Tonight: Watch Episode 5 of Downton Abbey Season 3 on PBS Masterpiece! Season 3 of 5-time Emmy Award winner and 5-time Golden Globe nomineeDownton Abbey (Penelope Wiltonco-stars as Isobel Crawley) continues tonight withEpisode 5at 9 PM ET (Check local listings for times in your area) on PBS Masterpiece Classic. Things go badly amiss at Downton Abbey. Robert and Cora are not speaking. The servants are shunning Matthew's mother Isobel. And Matthew and Robert have fallen out. Also, Bates takes a gamble. Tonight, BBC America's 8-part crime mini-seriesRipper Streetstarring Matthew Macfadyen (as Detective Inspector Edmund Reid) continues with Episode 3. Jerome Flynn, and Adam Rothenbergalso star. Also,if you missed the previous 2 episodes, Get Episodes on Sale at iTunes NOW! 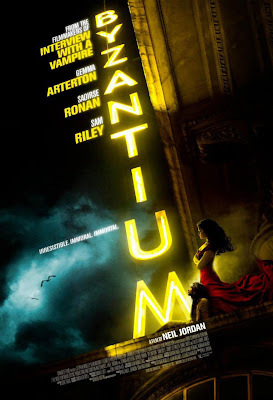 Watch: International trailer for 'Byzantium' starring Gemma Arterton, Saoirse Ronan, and Tom Hollander! No theatrical release date as of yet, but IFC Films will release the movie later this year.